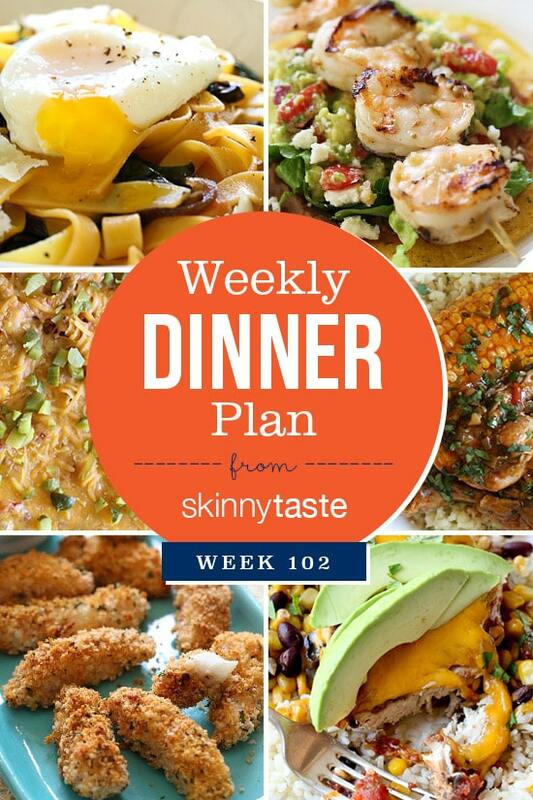 Skinnytaste Dinner Plan (Week 103). Hope everyone’s having a great weekend! I spent my week updating all the recipes on my site for the new Weight Watcher Freestyle Plan. I’ve got everything updated from 2017 until 2011. I am working my way through 2008 and hoping to have them all done by the end of next week. I’ve also updated the Smart Points for the recipes for both my cookbooks, you can see them all listed here. Points are under the cookbook link on the site. Will be using this in the new year! Thanks for all the effort you put i.
I so appreciate your attention to detail and dedication to your readers! I have your 1st cookbook and will be going through to update the points. Thank you so much! I’ll be ordering your second cookbook soon as I gifted myself an Instant Pot on Black Friday. Thank you for updating to Freestyle so quickly. Having the SP handy for your recipes is so Awesome!!!! Love the recipes and the ease of tracking! Thanks!!! Happy holidays!! Wow! Thank you for the TON of work you put into replacing all the point values so quickly! That is SUPER appreciated, and I just wanted you to know that I recognize the amount of time and work that must have taken! ♥♥ Definitely a reason why I have your blog subscribed to come to my inbox! Great recipes and someone that definitely cares! Thank you! I’m new to your site but loved using the recipes for my weekend party! Thank you for having many GF recipes – we are already so limited that when you are on WW it feels like you are constantly searching for ways to convert. It would be awesome to have the point differential if using GF products since it can be different based on the substitution. So far have not found a recipe that I haven’t loved!!! Are the meal plan recipes for this week updated to Freestyle? They look so yummy! Thank you, Gina! I’m known at my WW meeting as “the guy that cooks” and I owe a lot to you and your recipes! You rock!!! Gina, thank you always for your great website, recipes and photos. I just recently joined ww *again*! And I appreciate the time and effort you put in to recalculate all the points. Gina, thank you for all your efforts to keep up with the new WW plan. You are the best. I recommend your site to all my friends. Thank you for updating so quickly. I love your recipes! I am new to your website. It was mentioned at my Weight Watchers meeting. 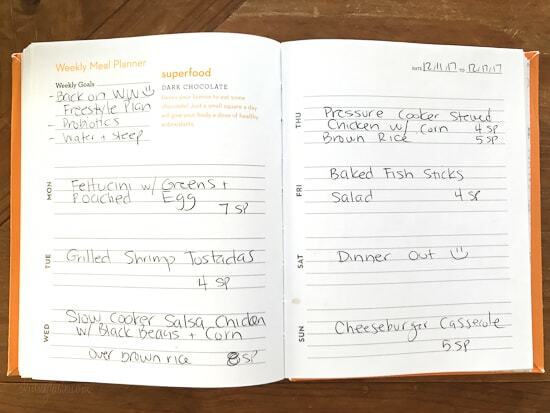 Where can I find the journal you have picked with your weekly recipes? I just want to verify that if I’m using old smart points I will need to add the points back to your recipes for all new zero pint foods from now on. Is there any chance you can list old SP, along with new FS just like you still list PP? My husband and I credit your site with changing our lives! Thank you! Sorry, I am replacing them all so yes, you will have to add the smart points. They will still be called SP. Hi Gina, I see you have updated the point values for the recipes back to 2011. The turkey tacos in lettuce cups says 6 SP, I would have thought those are now 0 points, am I missing something? I use Sooooo many of your recipes and then found out ww was changing to freestyle points and was like OmG noo!! Thank you for updating!! Trying to subscribe to the blog and it keeps giving me an error message saying my email address is not a valid one for the site???? I had the same feeling with the freestyle change. I also wish that the WW site would just let you put in a link for a recipe in the recipe builder and fill in the ingredients based on that, like myfitnesspal.com does, it would be sooo much easier. But I love this site since is already includes the smart points (well, mostly because the recipes are great).. Thanks for all the hard work Gina!